Nathaniel Ayers, Adam Crane and Steve Lopez. Nathaniel Ayers is the man the movie "The Soloist" was inspired by. 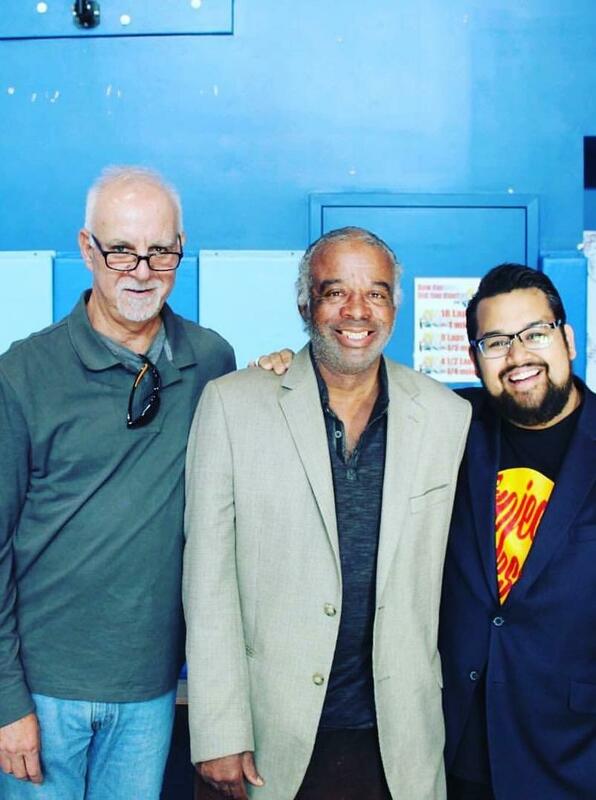 Lopez joined St. Louis on the Air on Monday to discuss his friendship with Ayers and how that is connected to St. Louis and a classical music non-profit in Los Angeles which seeks to help people like Ayers who are experiencing homelessness. Street Symphony, a classical music nonprofit inspired by ‘The Soloist,’ has a local connection in St. Louis Symphony's Adam Crane, who helped to found it. We hear his story, and the story of Steve Lopez and Vijay Gupta on St. Louis on the Air. When Lopez stumbled upon Ayers, who was homeless at the time, he heard him playing violin and thought it was of high quality. He approached him thinking it would be a good column for his paper. What he found was a Juilliard-educated classical musician who fell by the wayside after he was diagnosed with paranoid schizophrenia, hearing voices during his rehearsals. Ayers had spent many years on the street by the time Lopez met him. Violin was the music that soothed him and he had an affection for Beethoven, whose statue he practiced across from every day. After getting to know him better, Lopez wanted to do whatever he could to help improve his life. That’s where the St. Louis connection comes in: In 2005, Adam Crane, now the vice president for external affairs at the St. Louis Symphony, was the PR Director at the L.A. Philharmonic. Lopez reached out to Crane, hoping he’d ease the path for Ayers to come to a rehearsal. Steve Lopez, Nathaniel Ayers and Vijay Gupta. Crane consented. Ayers was excited but nervous. Ayers visited the Philharmonic and became a regular visitor. That’s when Vijay Gupta, a violinist with the Philharmonic, met Ayers. “We immediately recognized this man as someone who had the talent and capacity to be on stage with us,” said Gupta, who was recently in St. Louis for a speaking engagement at Washington University. Ayers, a gifted double bass player, asked if he could study violin with Gupta. It was through these lessons that Gupta realized that music could help more people in Ayers’ situation, suffering from mental illness and homeless. So, in 2011, Gupta and Crane founded the Street Symphony, and took classical music to Skid Row, a part of L.A. where some 50,000 homeless people reside. One of their major events was a sing-a-long performance of Handel’s Messiah. Now, the group is expanding outreach to correctional facilities in Los Angeles. In St. Louis, Crane is working with the St. Louis Symphony’s Maureen Byrne to add correctional facilities to community outreach efforts here. As for Ayers, Lopez said he still sees him about once a week. He now lives in a mental health recovery center in Long Beach where he plays music for almost 10 hours a day.